Graduating students of Sheridan’s Illustration program helped ring in the Christmas season through their holiday card sale last week. The public was able to pick from eight different designs illustrated by those graduating from the Bachelor of Illustration program. 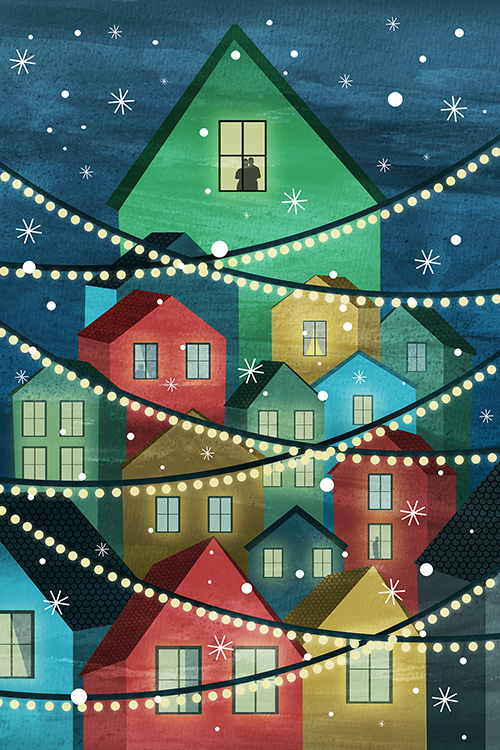 “Each design is the work of an individual fourth-year student showcasing an individual sensibility and approach to the concept of ‘Winter Holiday,’ ” said Clemente Botelho, a professor in the Bachelor of Illustration program. 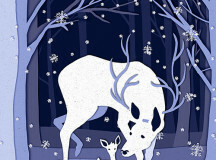 This year marks the first year that Sheridan Illustration students have sold these holiday cards. In previous years, students have sold their projects at art shows and craft fairs. “The program has a long history of a professional level graduate show with attendance in recent years topping 1,000 people from Toronto’s design and art community,” said Botelho. 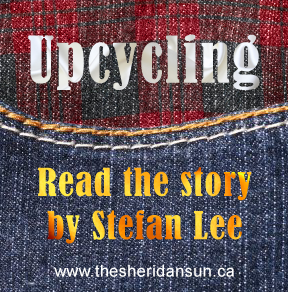 “Primarily we sold our art and crafts at sales tables at the school and at craft fairs. [We had] two events at the Marquee and through Student Union,” said Sheridan Illustration student Rachel Kochany. 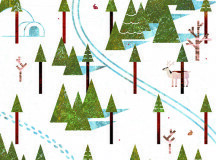 The idea for a holiday card sale came from a project with instructor Emily MacKenzie, who helped organize several of the Illustration program’s graduation shows. The project was to produce holiday-themed cards. “The results were incredible as the students produced such a diverse variety of ideas and engaging images suited to many sensibilities,” Botelho said. 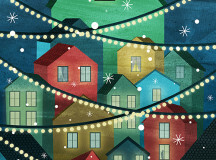 An illustration depicting houses in snowfall. Illustrated by Chelsea Charles. 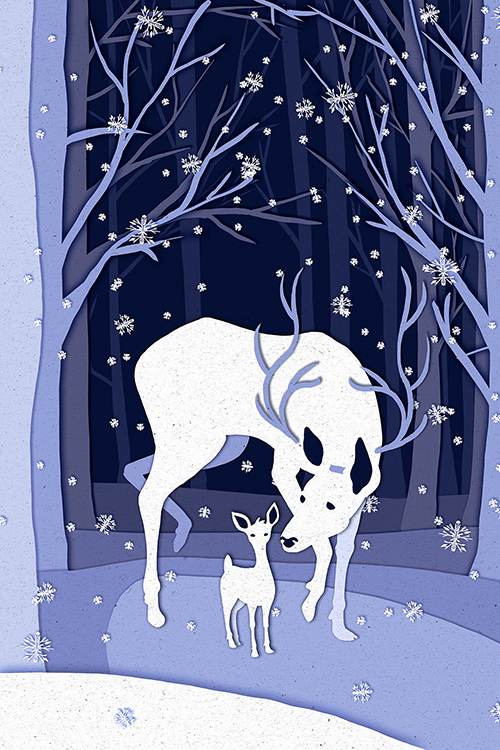 An illustration depicting a deer walking through a snowy wood with her young. Illustrated by Kari Lynch. 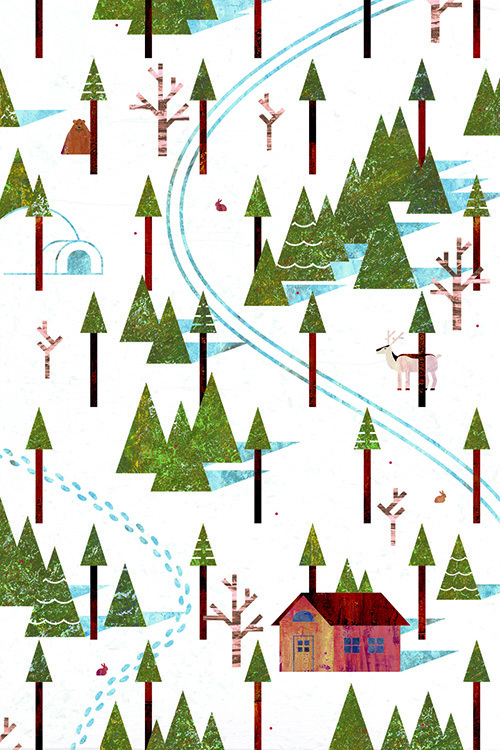 An illustration depicting a ski trail and footsteps weaving through trees. Illustrated by Zach Cartman. “I think it’s gone very well,” said Kochany. “One of the core qualities of Bachelor of Illustration students is their dynamic approach to entrepreneurial opportunities,” Botelho said. Students intend to use the funds raised from this sale for their graduation showcase in spring. “We are unveiling the project theme of the 2016 illustration grad show in coming weeks, so unfortunately we cannot let the cat out of the bag just yet,” said Botelho. Added by markelgie on December 9, 2015.